Aren’t we all tired of the white elephant? By this, I’m referring to the bulky laser engraver in your studio or workshop, which has a ubiquitous and probably not-so-good-looking effect. If a laser engraver is a must-have for you, you might have been forced to invest in enough desk space since most laser engravers out there are quite large. 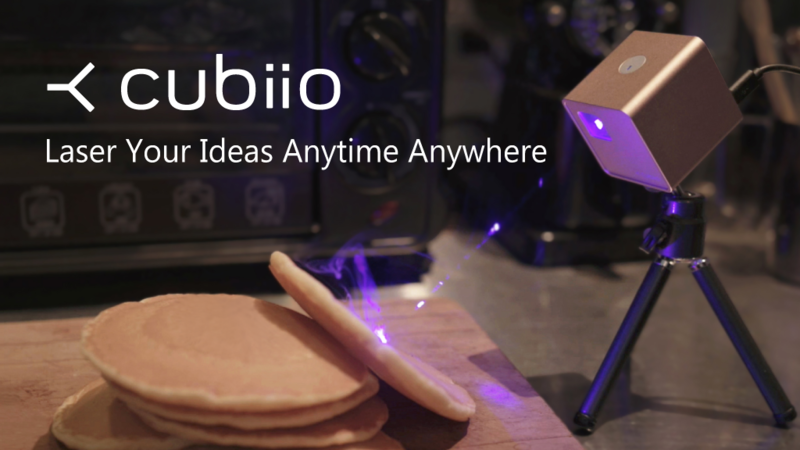 However, Christmas has come early for you with Cubiio: The Most Compact Laser Engraver. Read this review if you want to know all things Cubiio. Cubiio is the laser engraver that has it all. It is small enough to fit the palm of your hand, is light in weight and comes in a beautiful design. It achieves all these without any compromise to the functionality. This is an unbiased review based on Cubiio’s specifications, research and customer responses. As aforementioned, Cubiio is unlike the other laser engravers out there in that it is small enough to fit the palm of your hand, hence rendering it portable. It is cubic with 50mm by 50mm in dimensions. And, it has a small square-shaped laser indicator on one face with a touch switch, and a Micro SD and Micro USB port on another face. It is finished with anodized aluminum, which gives it a classy and quality feel. This design comes in five rich and beautiful colors: red, black, dark bronze, gold, and blue. You, therefore, don’t have to compromise beauty anymore so as to get a good laser engraver. Cubiio is wirelessly controlled by the Cubiio App which can be downloaded from Apple Store or Google Play Store. Once the app has launched, all you have to do is choose a G-Code file or write something in Cubiio App, then place the item that you want to engrave in front of Cubiio, preview and align it then press Start, and that’s just about all there is. The most obvious upside of Cubiio is its small size. This does not only render it portable but with the inclusion of different colors and the anodized aluminum finish, it gives it a beautiful and classy feel. Cubiio can be used to cut and engrave different materials. There are: paperboard, cardboard, fabric, felt, leather, wood, non-transparent acrylic, and metal. 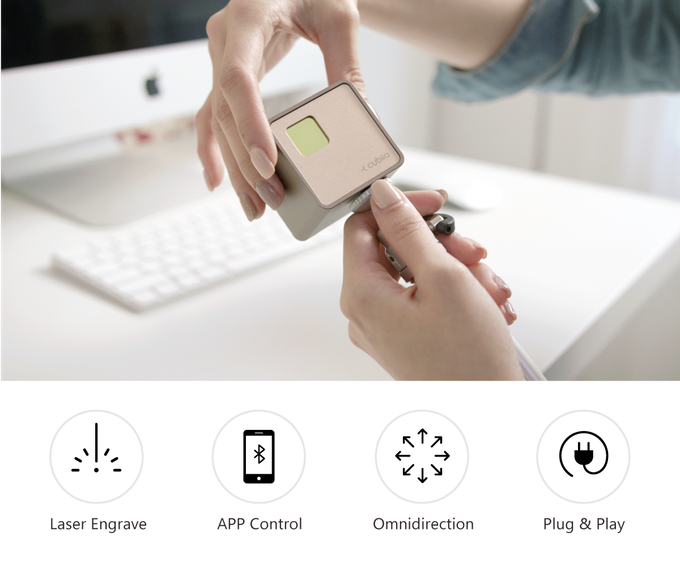 Unlike traditional laser engravers that come with assembly instructions, Cubiio is quite easy to use the batch features is another upside of Cubiio. This enables continuous production by allowing easy repetition or movement to the next file. Due to the many possible side effects of a laser device. Cubiio has enforced many safety measures for the protection of the user. In every Cubiio package, there are goggles to offer eye protection while using Cubiio. There is also a password lock to prevent access to unauthorized users. A bright LED light is available to indicate when the laser is operating. When there is accidental movement during operation, Cubiio will shut down This is made possible by the motion detector that is available. Cubiio also shut down when there is such as overheat that it may lead to damage. This is because Cubiio should work in an environment with sufficient heat dissipation. For those users who have a higher safety standard, CubiioSheild offers upgraded protection. You must be thinking, “All these pros, what’s the catch? It probably costs an arm and a leg”. News flash, there is no catch. Traditional laser engravers use the f-theta lens to correct image distortion. This results in a bulky and expensive product. To correct image distortion, Cubiio uses a specially developed algorithm, then rendering it portable and affordable. 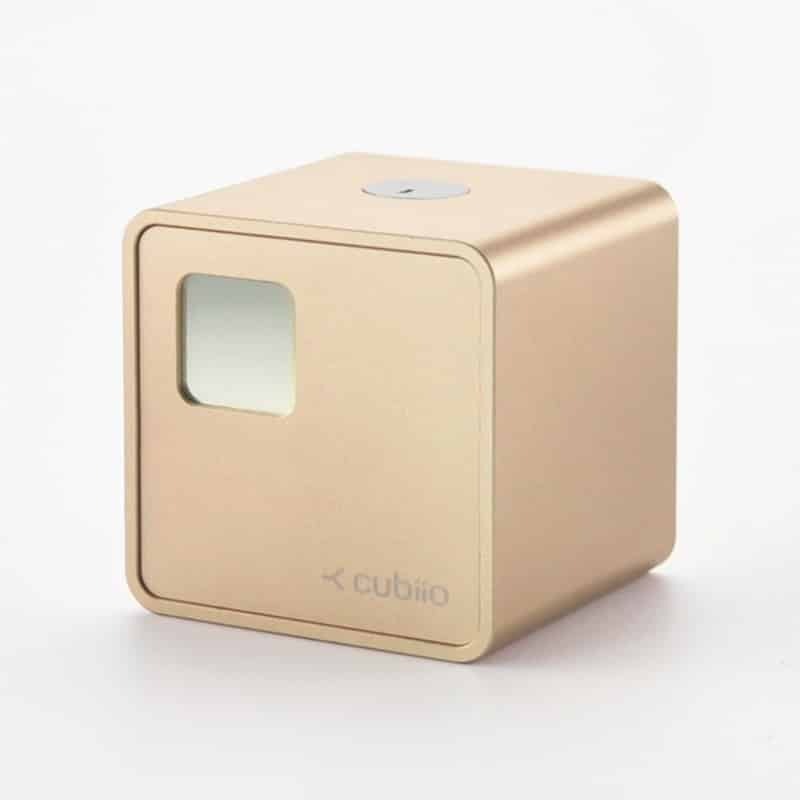 The retail price of a Cubiio is $449, you can grab one now at only $249 (early bird). For Cubiio suit which consists of a Cubiio together with a CubiioSheild, the retail price of a Cubiio is $669. If you buy five, you get a 38% discount for the basic and a 31% discount for the Cubiio suit. Check the latest price Here. Unfortunately, Cubiio cannot be used to engrave metal, anodized aluminum, glass, mirror, concrete, stone, ceramics, pottery and transparent and white material. This is due to wavelength and laser power. Also, not all types of plastic have been tested. Compared to the wide range of materials that can be engraved, the few that cannot be engraved do not render Cubiio incompetent. Cubiio’s laser course cannot be changed. However, engraving one macaron takes 32 seconds. This means that with a lifetime of 10 000 hours, one can engrave more than a million pieces. So the fact that the laser source cannot be changed is hardly an issue. The power adapter is not included in Cubiio’s package. However, this is hardly a disadvantage because you probably have one already. You can use your tablet’s charger if it has a USB outlet with 2 Amperes or more current capability. 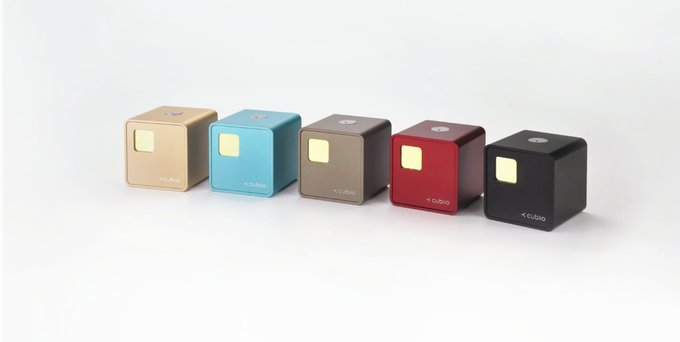 The absence of a power adapter in Cubiio’s package also prevents overproduction and cuts on unnecessary costs. To reiterate all that has been mentioned in this review, choose Cubiio if you want a laser engraver that is portable, safe, beautiful, classy, affordable and has great functionality. Check the latest pricing and availability via the link below.